Fodey.com is a website which offers some fun tools. 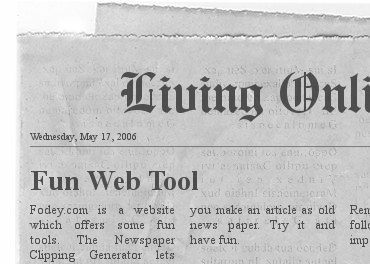 The Newspaper Clipping Generator lets you make an article as old news paper. Try it and have fun. The Ninja Text Generator is another fun tool. Look at this below, does it cute?